In a large skillet, heat EVOO over medium heat. Add onion and garlic, and cook until soft, about 5 minutes. Add kale, thyme, SnP and red pepper flakes. 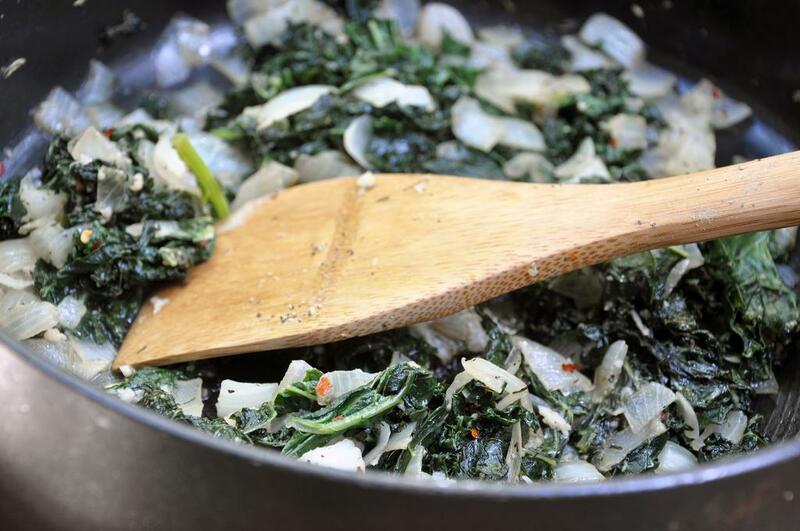 Cook until kale is wilted and most of the water is cooked off. Remove from heat and set aside. 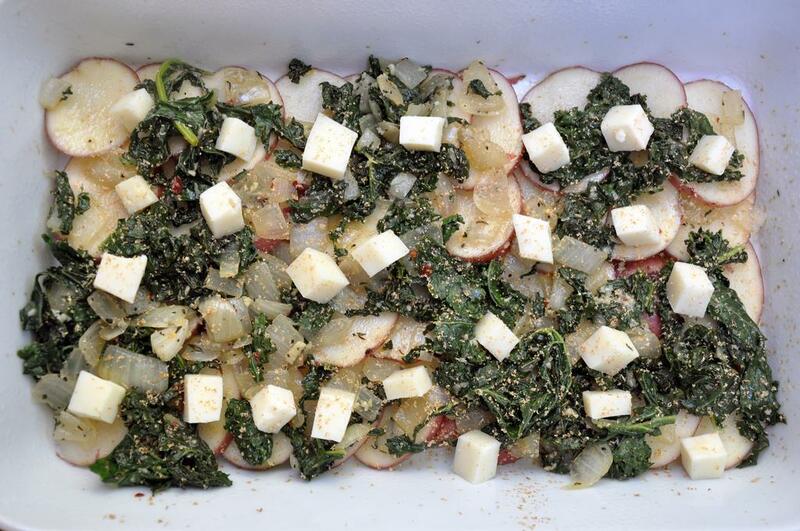 In a 9x13 casserole dish coated with cooking spray, lay out half the potatoes on the bottom, slightly overlapping. Spread half of the kale mixture evenly over the potatoes. Then sprinkle nutmeg over top and half the fontina cubes. 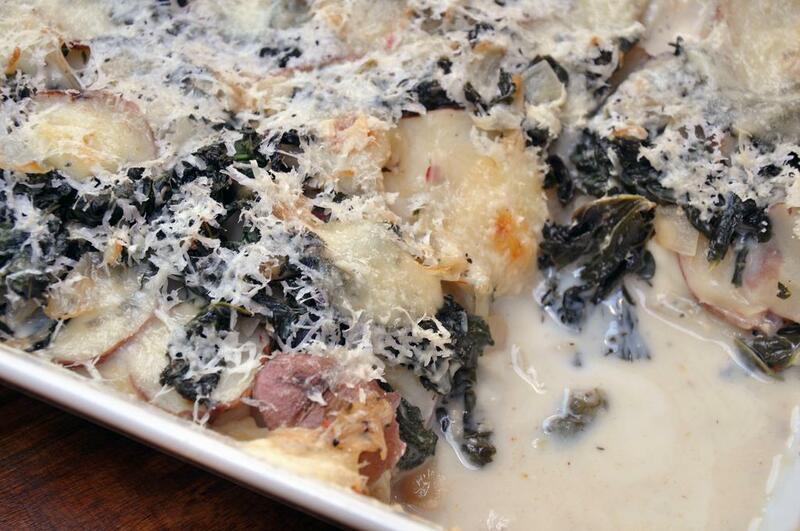 Repeat with remaining potatoes, kale mixture and fontina. Heat milk until warmed through and whisk in cornstarch until incorporated and slightly thickened. Pour over gratin, cover with foil and bake 30-40 minutes, until potatoes are soft. Remove and sprinkle pecorino on top. Bake 15 minutes more, uncovered, until cheese is melted and golden brown. Serve hot.